This is my ‘better late than never’ gingerbread recipe. It featured in my christmas post, which shows the shortbread and gingerbread star cookies I gave as gifts for Christmas. Although gingerbread is traditionally a christmas thing, it’s good all year round, and ginger is fantastic for settling a funny tummy! Place flour, bicarb, ginger and cinnamon into a food processor, add the butter and mix until the mix looks like breadcrumbs. If you don’t have a food processor rub the butter into the flour with your fingertips until resembles breadcrumbs. Mix the egg and golden syrup together and add to the breadcrumb mixture. Mix either by hand or in a processor until the mixture clumps together into a ball. Knead the mixture to bring it all together and form a ball, refrigerate for around 20 mins. Roll out the dough and cut whatever shapes you like! I like to make small stars as they are good as gifts and great for the biscuit tin! Traditionally, people like to cut men out of the dough, which is great for children to decorate! Place cut out shapes on the baking trays and place in the fridge for 30 mins (this helps maintain the shape when cooking). 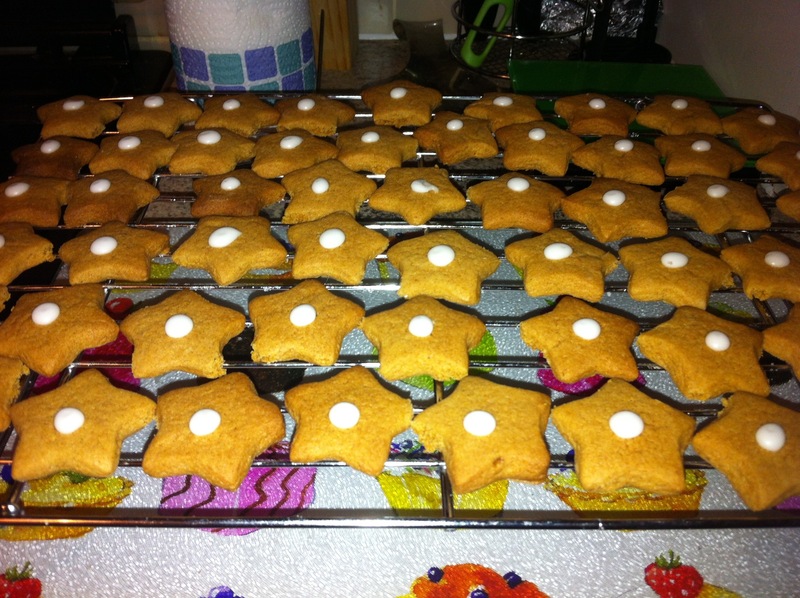 Bake in the oven for 10-12 mins for stars and 12-15 for gingerbread men. When baked, the cookies should be slightly darker in colour and may still be a little soft but will harden when cooling. I hope this recipe inspires you to make gingerbread whatever time if year!